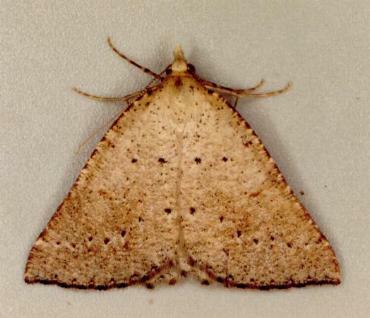 The adult moths of this species are pale brown with a scattering of darker specks and spots. 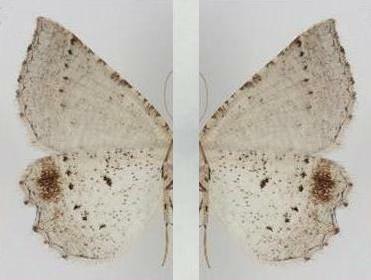 The moths have a wingspan of about 3.5 cms. 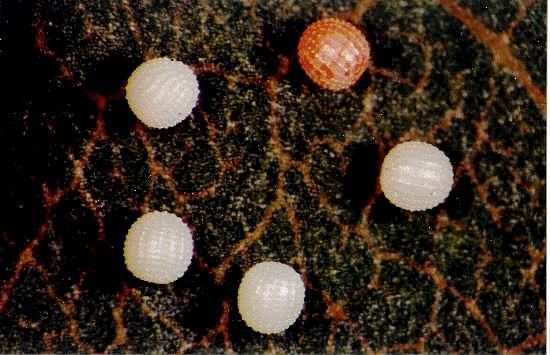 The eggs are ridged and spherical and white, with a diameter of about 0.5 mm. 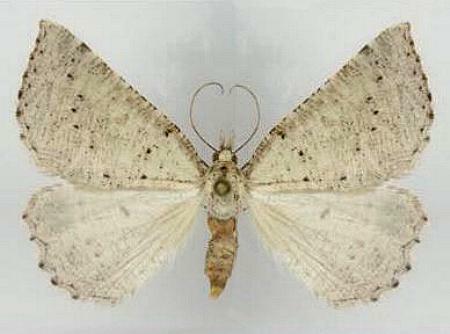 They turn red as they approach hatching.